For anyone who’s ever tried to write, make music or create anything, you’ll be familiar with your inner critic. It’s the voice that tells you to work when you’re procrastinating and then tells you you’re better off procrastinating when you do get to work. It’s the sickening feeling of dread that follows a realisation that what you thought was worthwhile is a waste of yours and everyone else’s time. Or, that your experiences of self-doubt are in fact only yours, that no one is that self-critical, that the inner critic doesn’t exist at all. The creativity certainly flows on ‘La Saboteuse’, Ahmed’s second LP following 2011’s ‘Finding My Way Home’. Born and raised in Bahrain before moving to London at the age of nine, Ahmed fuses Arabic music with British jazz, finding points of similarity amongst the rhythmic charge of Middle Eastern percussion on tracks like ‘Jamil Jamal’ or through the emotive bass clarinet and Arabic scales present on the Shabaka Hutchings-featuring title track. This results in the eerie electronic gurgles of ‘The Space Between The Fish And The Moon’ and Ahmed’s propulsive cover of Radiohead’s ‘Bloom’ on the album. With a remix EP of the record also set for release in July, featuring edits from Hector Plimmer and DJ Khalab, Ahmed is keen to keep pushing the boundaries of what constitutes jazz music and the audiences that it should be accessible to. Further silencing that inner critic, Ahmed’s next full-length project is a concept piece inspired by courageous female role models and played by female musicians. “I want to represent these amazing female musicians to the world and show that we can play!” she says, creating pieces inspired by Malala, Rosa Parks and the suffragettes, amongst others. 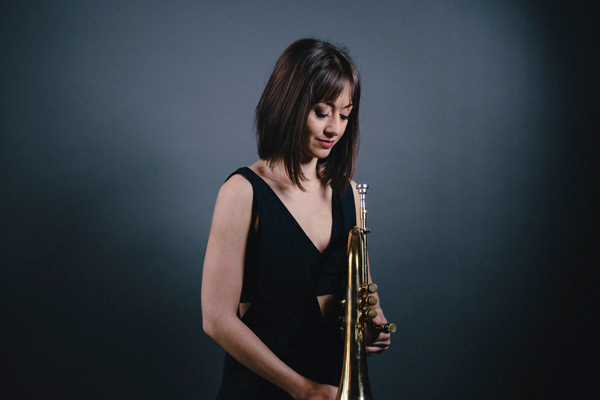 For Ahmed, “jazz has always been a music of the people,” and her work continues to reach out to the public in its self-expression.